A big news item in todays press is about a 10 year old aboriginal girl who suicided. This has led various politicians calling for various forms of action in these aboriginal communities to deal with suicide. One can’t really say that a 10 year old child has suicided. The child’s understanding of death is quite different to that of an adult. Therefore its understanding of what it is doing and its motives for doing it are quite different to the adult. Indeed in my book I go into great detail about teenage suicide and demonstrate how it is different to adult suicide. Thus a child is even more different to the adult especially if she was an immature 10 year old, then one really has to use a different term or at the very least clarify that when they say a child has suicided they are using the term’ suicide’ in the widest possible sense. My personal view is there is a solid argument for the idea that a child cannot suicide. If one uses the term ‘child suicide’ that is quite misleading as the vast majority of people will assume it to have some similarity to the adult suicide which it most definitely has not. I wrote this some time ago and forgotten I had. 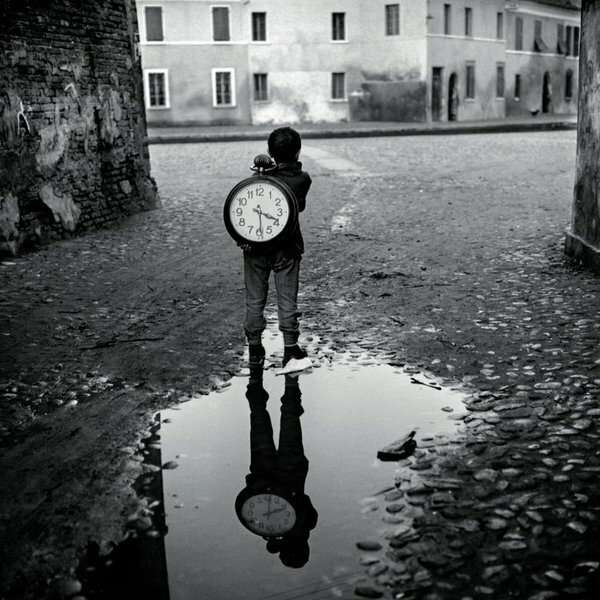 It fits with this blog on child suicide where my main thesis is that the concept of child suicide is a misnomer. 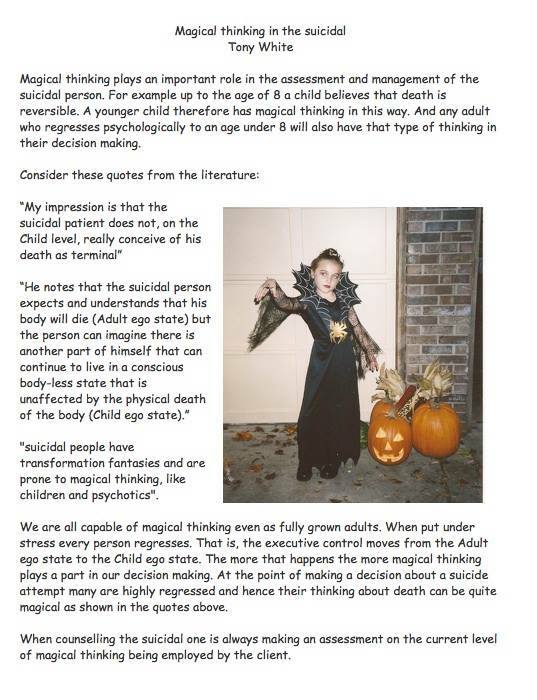 It is not possible for a child to suicide, because of its understanding of what death is and its level of magical thinking. If a child does certain actions such that its life ends then its not a suicide as its motives are different to that of an adult. It cannot fully understand what death is and therefore it can not have the motive to die like an adult can.